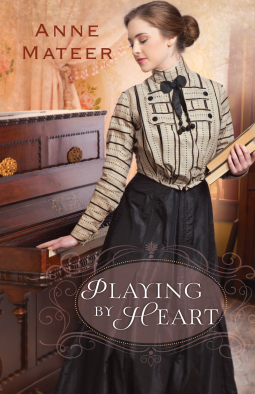 Weary of the expectations imposed on her by her strict upbringing, eighteen-year-old Mazy Pelfrey prepares to leave her home in the Kentucky mountains for the genteel city of Lexington, where she'll attend secretarial school. She knows her life is about to change-and only for the better. Everything will be blue skies from now on. But business school is harder than she thought it would be and the big city not as friendly, until she meets a charming young man from a wealthy family, Loyal Chambers. When Loyal sets his sights on her, Mazy begins to see that everything she'd ever wished to have is right before her eyes. The only hindrance to her budding romance is a former beau, Chanis Clay, the young sheriff she thought she'd left firmly behind. 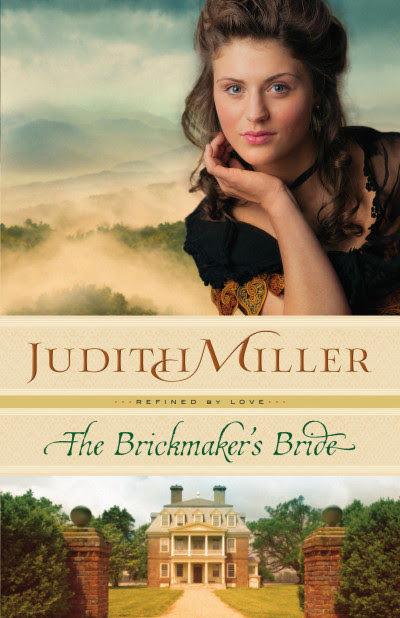 I decided to pick up Buttermilk Sky after a review in my latest Christianbook Fiction catalog. 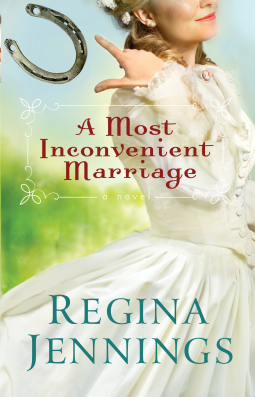 The editor mentioned the 'Anne of Green Gables' feel and I was immediately interested. I'm glad I chose to read it. 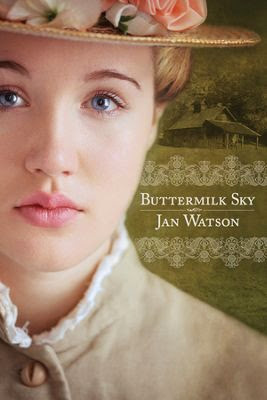 Buttermilk Sky easily read as a standalone, but it made me want to go back and read all of Jan's previous books! I wanted to get to know some of the past characters that are woven throughout the book, and I liked the feel of the Anne-ish time period. 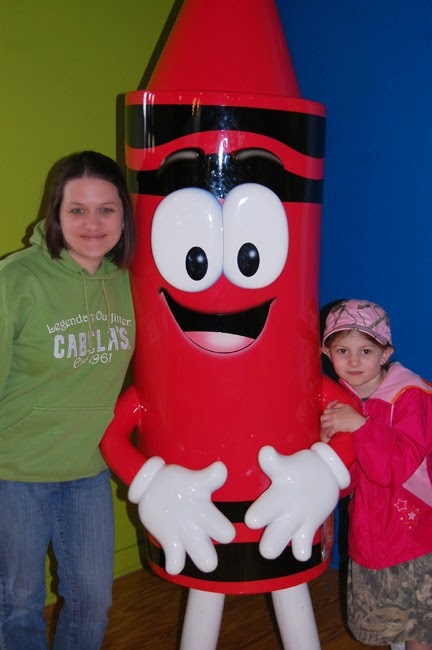 I liked Mazy right away. She brought to mind a little bit of Dorothy from the Wizard of Oz. A young, unspoiled girl looking for something exciting...then coming to the realization that there's no place like home. I also liked Mrs. Pearl and Cinnamon (who needs a story of her own!). I did feel like Mazy's story ended too abruptly – or at least, I really wanted the story to continue or have the characters fleshed out a bit more. Didn't think it was long enough. Like I said, Cinnamon needs a story of her own – and I want to know more about Clara! Perhaps we will see them in a future book...? 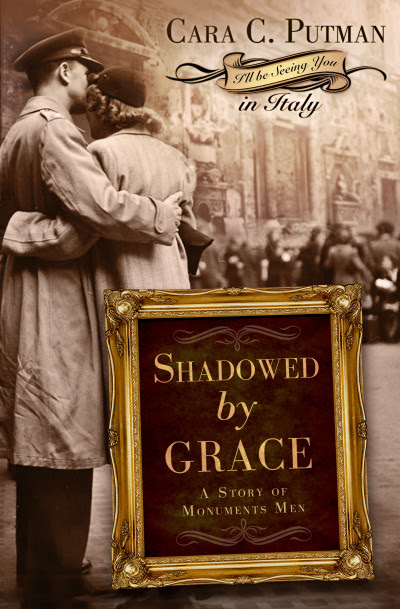 A sweet story set in simpler times – I liked it and would definitely read another by Jan! Thank you to Jan and Tyndale House through NetGalley for sending me a copy to read and review! I've said it before, but most of Julie's books make me think I'm reading a movie – watching a book? The Secret of Pembrooke Park gave me that same feeling. The descriptions put you right in the manor or grounds or post chaise, and within the first few sentences I was already captivated with the story of Abigail and her family. The mysteries surrounding the Pembrooke family and estate definitely kept me guessing. 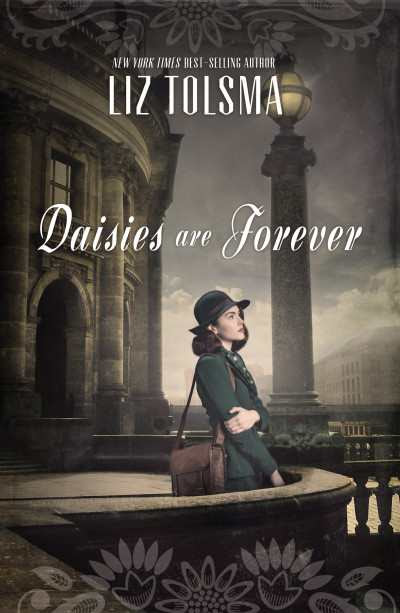 Each character had me wondering about their background and/or motive – from Mac to Polly and Molly to Leah to Mrs. Hayes to Duncan to Mrs. Webb to Miles...yes, just about everyone had something I questioned. I had several different ideas that changed as the book progressed...and I was pleased at the final conclusion. 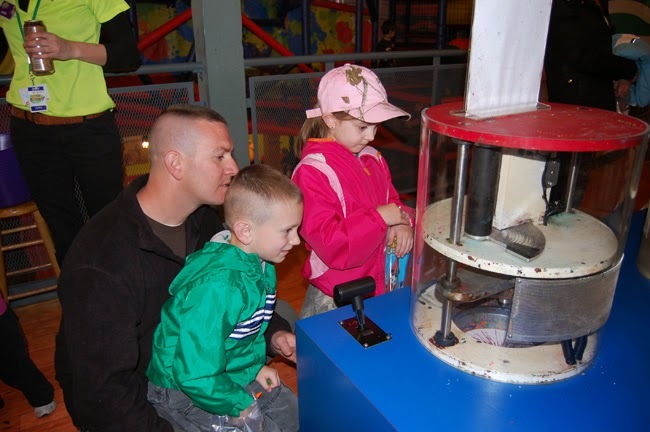 The Secret of Pembrooke Park will make you want to curl up under a blanket with a warm mug and keep turning the pages until you've discovered the secret(s) for yourself! 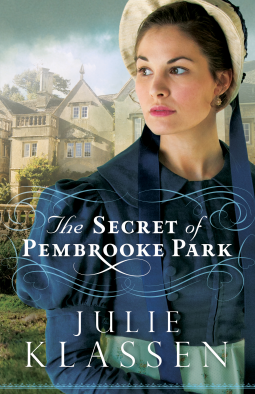 If you enjoy Regency romance with a little mystery, you will definitely enjoy The Secret of Pembrooke Park! Thank you to Julie and Bethany House through NetGalley for sending me a copy to read and review! 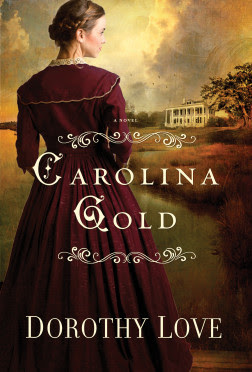 Thanks to NetGalley, I was able to read and review book 3 in Anna's Peacemaker series: Safe Haven. I love discovering new things I hadn't known about during WWII! Safe Haven was an interesting read about a (true) camp in Oswego, NY for a small group of invited 'guests' (refugees) near the end of the war. I wasn't sure how Safe Haven was tied into the other two books of Anna's Peacemaker series, as I didn't recognize names on the back cover blurb. But as I began to read, I recognized several of the characters! Theo's aunt and uncle, who have come to live at the camp, are Franz and Ilse Schneider – Beth's aunt and uncle from book 1 (that means: Beth is Theo's sister)! And, Gisele, the French actress from book 2 who helped Josef, Beth, and Anya escape, is also residing with the other refugees. Even though the focus is mostly on Theo and Suzanne's story (new characters), I wouldn't read Safe Haven as a standalone. You should really know the history of the other characters – especially the mysterious POW outside the camp walls. I loved learning about the camp – especially that the US was never planning to let the refugees stay, but had them sign documents promising to return to their home countries when the war was over). I even had to do a little research online on my own! As for the rest of the story, I felt the romance of Theo and Suzanne fell a bit flat and that disappointed me (although their ending was sweet, and I applauded Suzanne's decision). 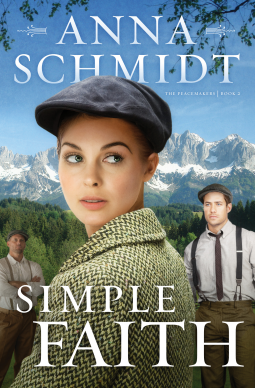 I enjoyed Anya and Peter's story from Simple Faith much more (it -and All God's Children- also had more of the action and intrigue that I prefer in my WWII settings)! I'm not sure if this is Anna's final book for these characters – but, I hope not! The ending didn't leave me hanging, but I do wonder about Gisele...and Marta...and especially the next chapter for Herr Buch and his wife? In most books, I skim over these references, because I know that, according to the Bible, these beliefs are not correct. However, I've given up the Amish genre because I got tired of reading that 'being good' is the way to heaven. So, if this is something that bothers you, please be aware that although the stories are good and the characters are religious, their beliefs are not biblical. Thank you to Anna and Barbour Publishing/Shiloh Run Press through NetGalley for sending me a digital copy to read and review! Wow. This was an exciting page-turner. I loved Kate's inspiration of the biblical story of Esther – a Jewess in an unexpected place with the seemingly impossible chance to save her people. Without giving too much of the story away, I couldn't wait to read the author's note to see if the fantastic escape she penned ever happened from Theresienstadt, a ghetto established by the German SS during WWII as a transfer station to other camps. Although the biblical Esther is real, and the inhumane treatment depicted in the book is accurate, For Such a Time is definite fiction. Still, from beginning to end, I found the read unique and exciting, hoping the journey were true...and knowing if it weren't, that there are true cases of escape and revolt of some Jews during that horrific time. I enjoy WWII fiction, and to me, these stories never get old. So many courageous men and women with tales to be told, whether courageously saving lives...or simply and desperately surviving their own. If you enjoy the same, you'll want to pick up your own copy of For Such a Time! 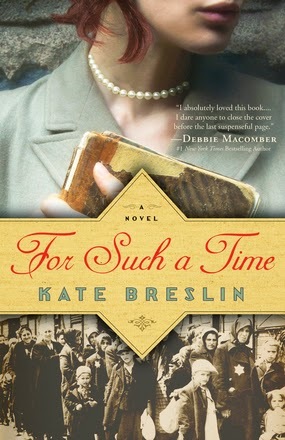 Thank you to Kate and Bethany House Blogger Program for sending me a copy to read and review! I had the opportunity to check out this new book from Howard Books! The four oldest Duggar girls (from TLC's 19 Kids and Counting) have recently released their own book, Growing Up Duggar: It's All About Relationships. If you're looking to see if Jana, Jill, Jessa, and Jinger will reveal shocking secrets from the mega household (they do mention their mom Michelle's battle with an eating disorder in high school which was something I didn't know), you'll be disappointed. No, I've never met them nor do I think they are perfect (as they themselves readily admit), but I believe the life you see the Duggars live on tv is pretty close to their real life. Just like their camera appearances, the girls share in their book honestly, yet humbly, the biblical convictions on the standards they have come to hold. In this case, they've focused their book on relationships – from the Lord first and foremost, which then effects all other relationships: from yourself to parents to siblings to culture to guys. Although written primarily to teenage girls, with personal stories from each girl of their own struggles and victories, I was challenged as a mom in my own attitudes and habits, as well as areas my husband and I can do better in the raising of our own young children. The answer is, a godly girl. That's what he and Mom are continually encouraging each of us girls to become. We know that a godly girl is not someone who has lived a “perfect" life but is someone who has received God's forgiveness and is seeking to put the past behind her and choosing to live every day for Him (page 115). It's also crucial for Christian gals to understand that we cannot conform our patterns to a thoughtless lifestyle and still expect to somehow marry a godly prince. We need to always keep in mind that if we desire to marry a godly man, then we must strive to become the kind of godly girl a godly man will be attracted to. God desires to see us grow in character and live by His principles, and for us to have a strong relationship with Him – which is the best foundation and preparation any of us can make for a future marriage relationship (page 140). I especially liked their reasons for 'dates' at home. Never gave much thought to watching a guy react to your little sibling spilling milk in his lap or your rambunctious brother being loud and noisy... anyone can be on their best behavior during a dinner out on the town, but character is often revealed during the chaotic 'everyday' moments! I expected Jana, Jill, Jessa, and Jinger's book to be a rehash of their parents' previous two books, just told from the kids' perspective, but I was pleasantly surprised. Although these girls' convictions may not match yours, their humility is evident and their challenge is clear: Jesus first, others second, you last. 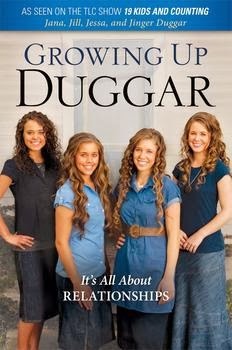 Thank you to the Duggar girls and Chris from Howard's Blogger Review Program for sending me a copy to read and review! It's another Kim Vogel Sawyer book! Kim's books have become some of my favorites in recent years. I love the 'good friend' type of books she writes. If you're a reader, you know what I mean. Those books that are warm, comfortable, cozy up under a blanket, read-again kind of stories. Echoes of Mercy was a little different than Kim's norm. Oh, it was still a book that made me feel satisfied and comfortable at the end – but, she wrote a little more suspense into this one. I liked that! 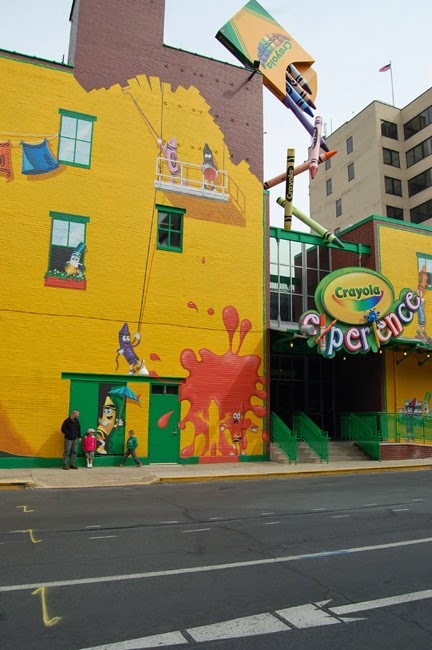 And, the chocolate factory setting was just fun and unique! I haven't watched the show, but Kim had a little 'undercover boss' going on, which I find a fascinating concept (although I was surprised that Gordon wouldn't know the owner's son?)! Kim's characters are always easy to relate to and love – or not! 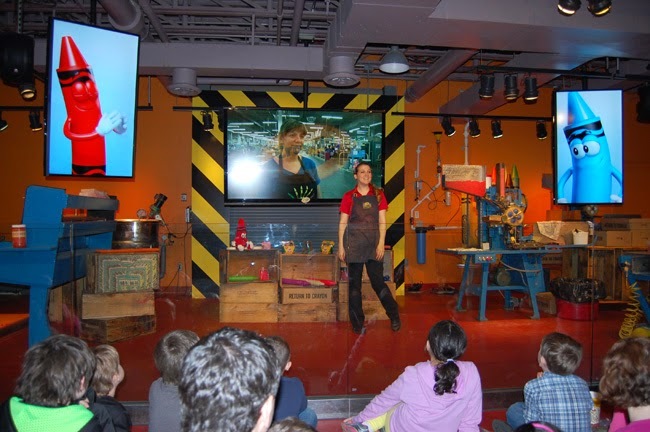 Kesia was great – loved her! I always enjoy when her type of character is added to a book! The wise, speaks-her-mind-can't-help-but love person! And then there was Mr. Dinsmore. 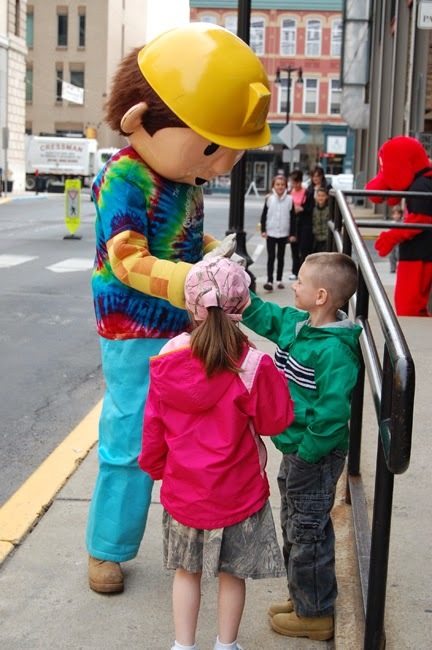 I wanted to like him – well, I did, as he seemed a wonderful father and even a kind man; I guess I was disappointed that he didn't apologize at the end, or at least we weren't told of any change of heart after all that happens. 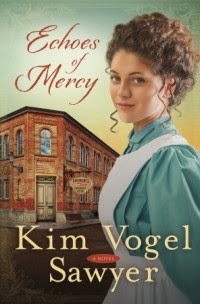 Still, despite the unsatisfactory conclusion with the senior Dinsmore, Echoes of Mercy was another winner by Kim. “They do.” She nodded emphatically, causing several escaping tendrils from her simple bun to bounce on her shoulders. 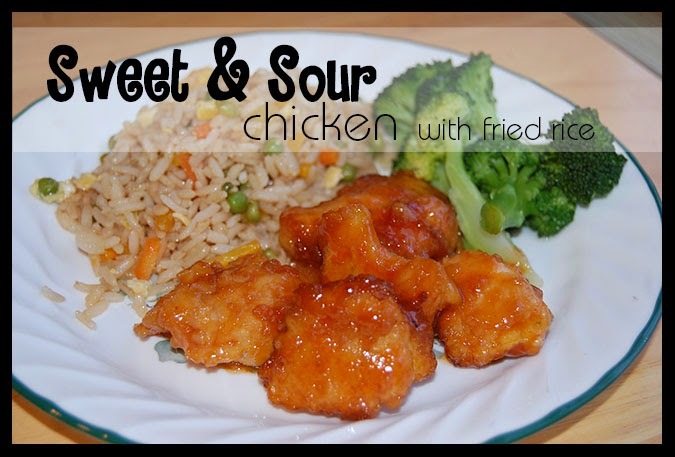 “And they don’t have to be cooked to stink. You ought to smell them when they’re just sitting in a bin in the sun.” Wearily she pushed to her feet. “I intend to spend my week of leave sleeping. You know where to find me if you have any questions about the report, but I’m sure you’ll find it concise. I was trained by the best, after all.” She aimed a fond grin at her friend and mentor. His simple comment warmed her, and she gave him another smile as she turned toward the door. 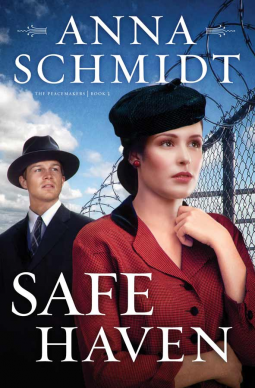 “Oh no…” As an investigator for the Labor Commission, Caroline knew they could meet danger. Sometimes entering workplaces to openly explore, other times posing as workers to observe the business practices on the sly, their presence was rarely welcomed and occasionally threatened. Even the required travel held various hazards. Each time she set out, Noble prayed over her for her safety. She depended on him and Annamarie praying her through the investigations. So far she’d always come back unscathed. Tired, yes, but unscathed. Her heart ached for poor Mr. Bratcher, for his family, and for Noble, who felt accountable for his agents. “Or someone took them from him,” she finished. Caroline stiffened, anticipating his next request.